Review : Orphek Atlantik V4 (90days) + OR60 1week (UV-Violet & Blue Sky). The Orphek Atlantik V4 coloration was really fantastic especially with fluorescence pigment and more than sufficient Par for my mixed coral tank. 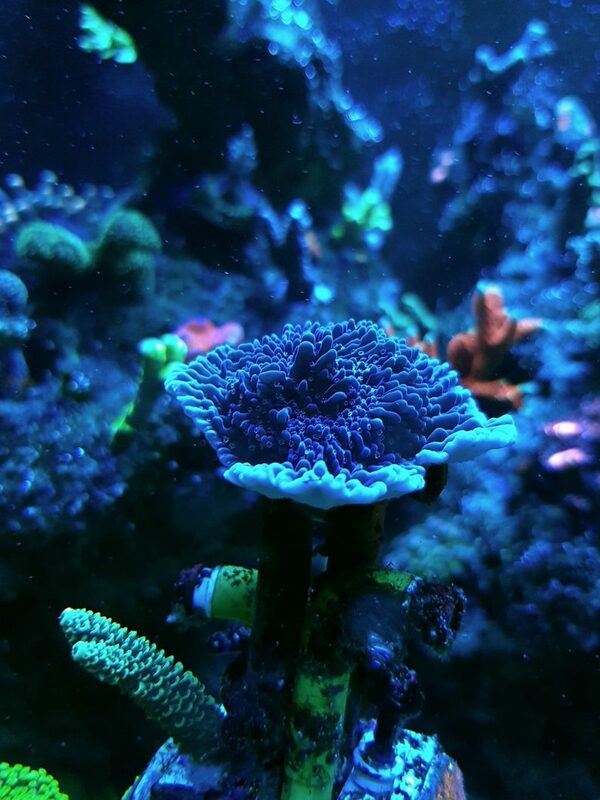 The most important is the Atlantik V4 doesn’t hurt or cause coral to bleach or promote nuisance algae (with the well care parameter especially Po4 & No3 level). 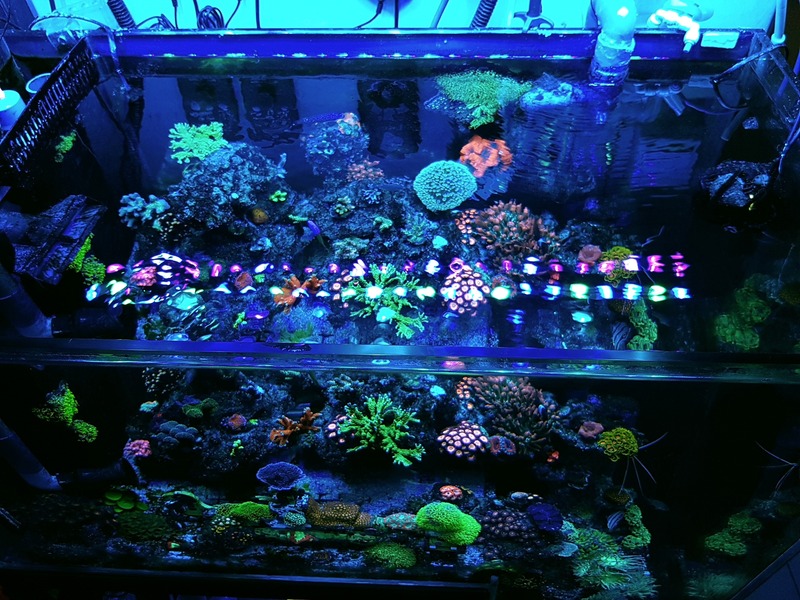 Mine Po4 0.03 with Hanna and No3 5 due to heavy feeding Reef Roid & Reef Booster + Reef Phytoplankton dose daily. 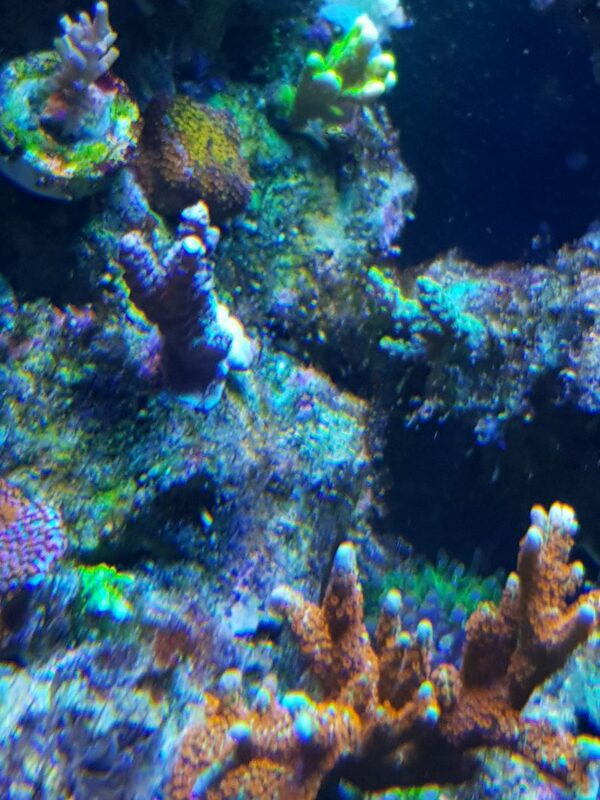 I noticed my sps grew rapidly fast especially the monti, millie encrusted the LR then only multi branchesand my Forest Fire can even see bright green on each branch. I started to use UV/Violet channel first and noticed that it is a great addition for growth + coloration. my 36″ L x 18″ W and 30″D for drop off and 20″ for shallow area evenly perfect. 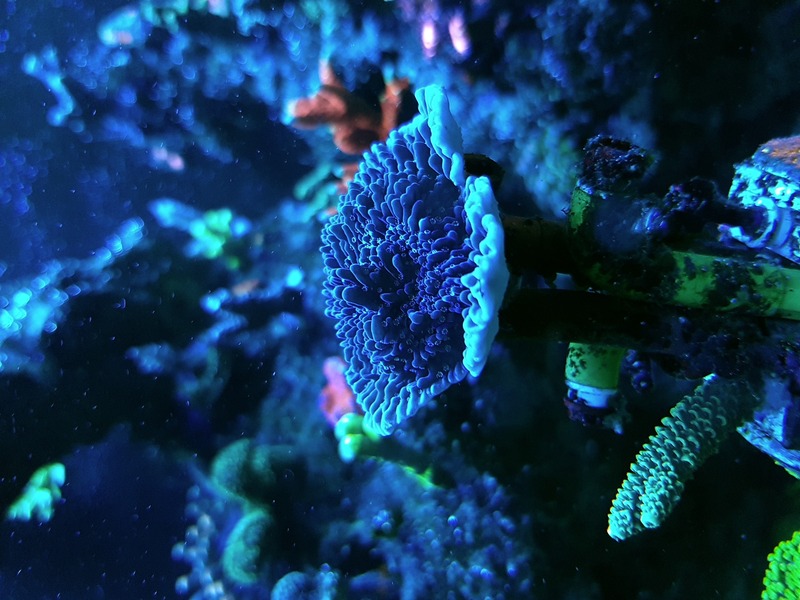 I noticed the Elegance coral, torch and hammer which I place close to 30″ inside tank evenly glowing when I just turn on the UV only during one evening for testing. I just received my Blue Sky OR60 LED Bar and used for almost 1week now. 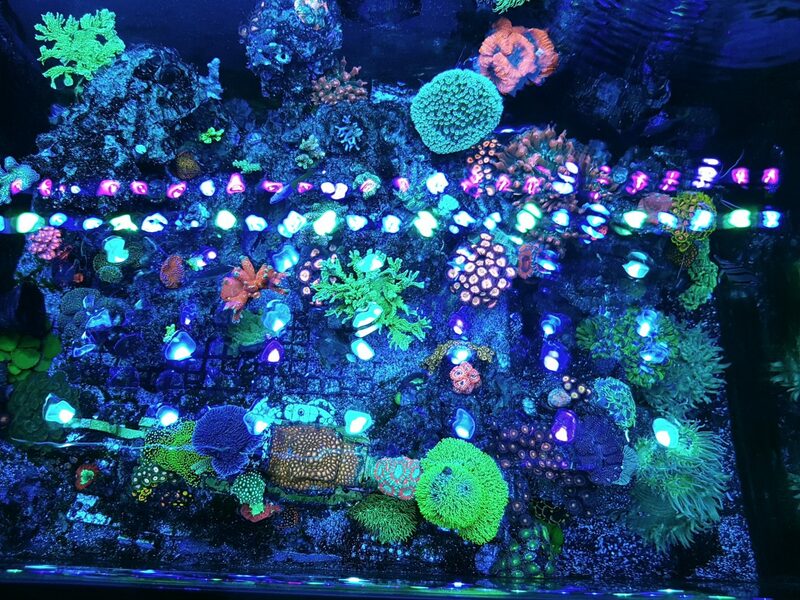 What I noticed with the addition is that there give more like a natural shallow coral reef area with the green color led. 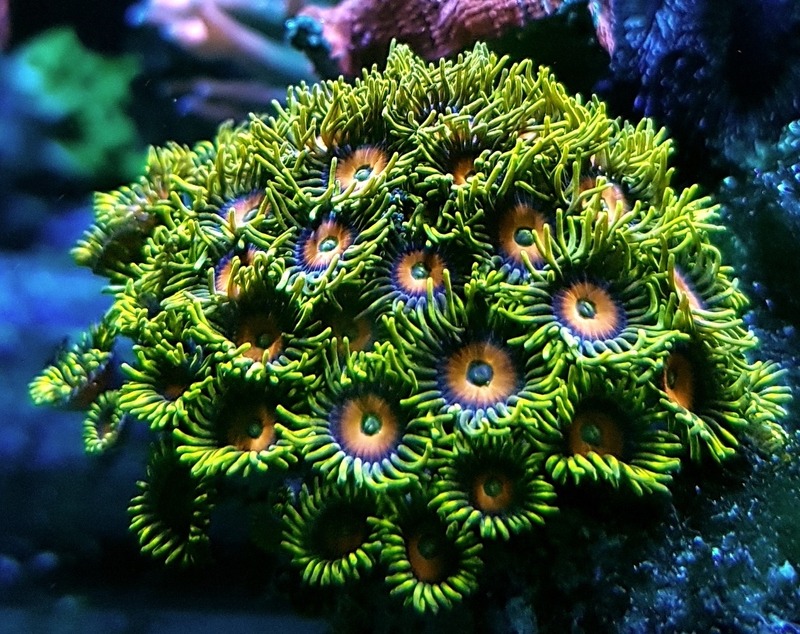 I noticed my sps coloration become more solid and brighter especially on FF orange polyps and my purple millie with neon polyp. 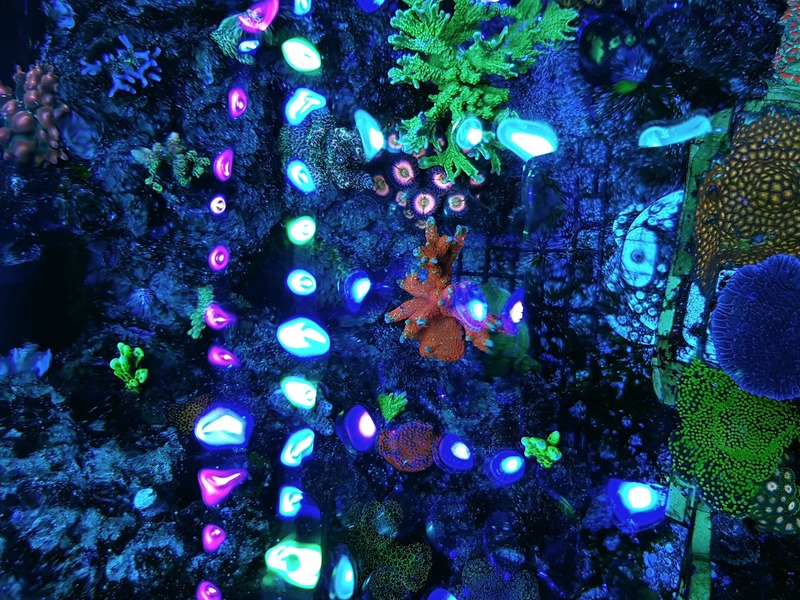 when they open to the max and they are like dancing while smiling to me and said thanks for the naturally lit tank. 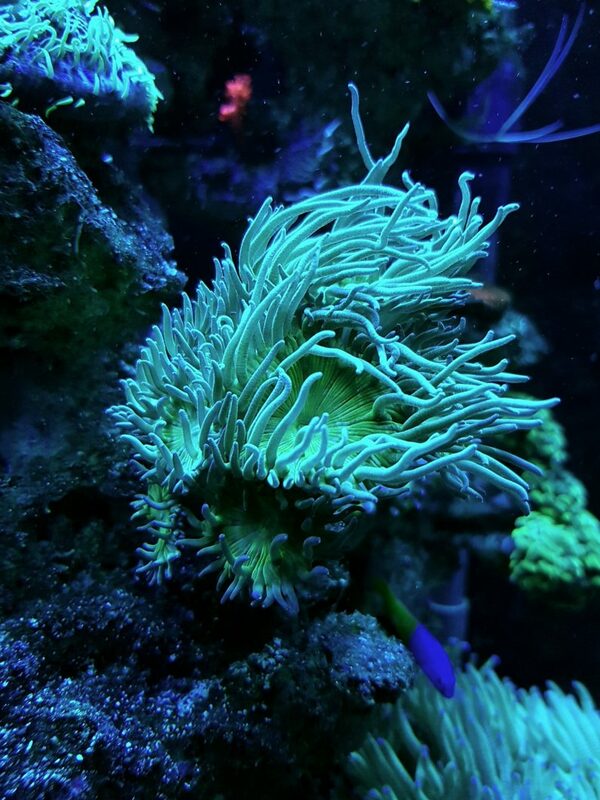 My fellow reefer who used ATI 8 X T5 also can’t believe his own eye when he turn on this 2OR (Blue Sky & UV) over his 6ft tank. 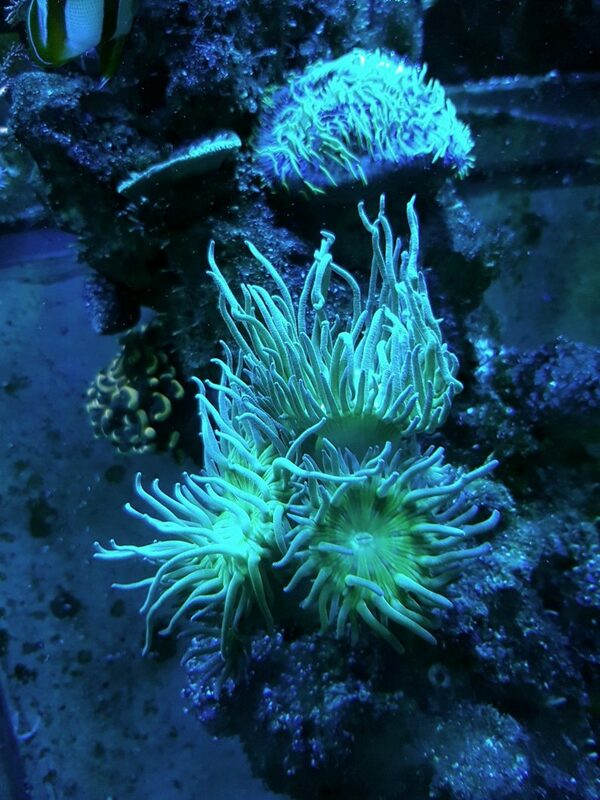 During the 48hours test, he noticed no bleach and coral coloration more vivid and solid. I strongly recommend that no matter what light u r using, u can start with this 2 unit of OR bar LED as a supplement for ur tank. And the best part is, the light is splash proof IP65 and you save money on the watt usage compare to T5 and you don’t have to change it every year like T5. 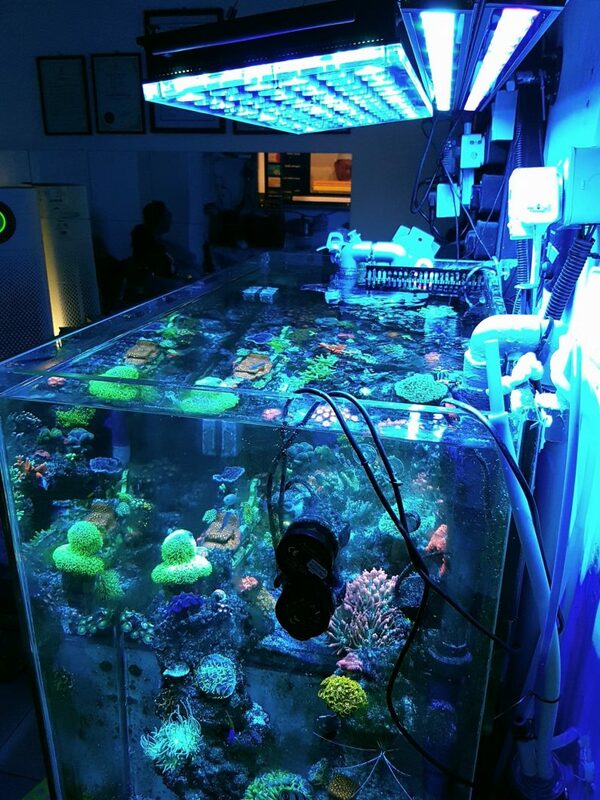 It is a worth investment before you totally let go your old tank light to AtlantikV4 + OR LED bar which make you tank is the best reef tank + the best reef led in the world. No other brand even close to the atlantik V4 spectrum which is impossible for them to achieve when they are selling normal home led spectrum to their client. 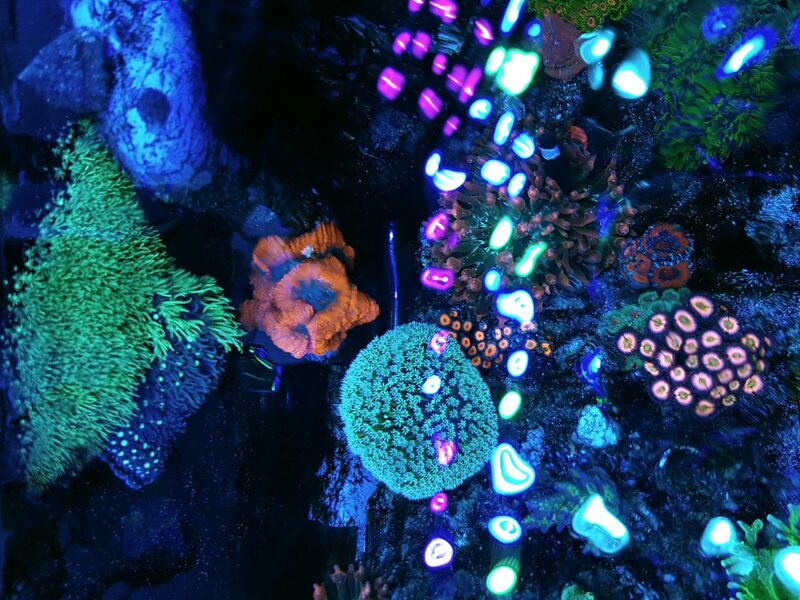 Atlantik V4 use 14 custom led spectrum which make the best in the market ever.